We have a wide range of fun and creative activities to offer you. Check out our home page to see the latest news and events. We can show you how to use lots of different techniques to create your masterpiece such as sponging, stenciling, fingerpainting, brushwork, add-ons and even bubble-blowing! 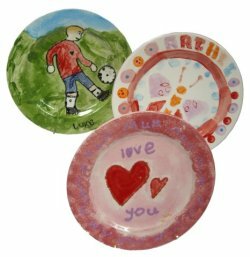 You can choose from a wide variety of ceramic pieces, which we stock in our studio. 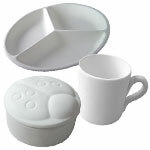 Alternatively, we have a large catalogue of items that can be ordered in for you. The possibilities are endless as new items and techniques are frequently being introduced. The studio can be booked for parties and workshops at any time, and we also offer evening bookings. We will also be introducing a selection of other craft based supplies such as card and jewellery making kits, and other seasonal items. We can incorporate other craft activities as an additional element for parties.